Raidzap Medium - build heads and bodies. A clear UV resin and quick cure with UV light. Raidzap Medium we know on the flytying table as a normal viscosity, it is neither too thin nor too thick. 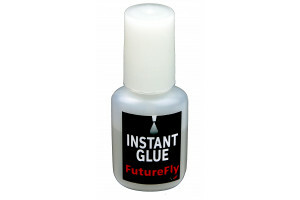 It can handle most tasks on almost all flies. 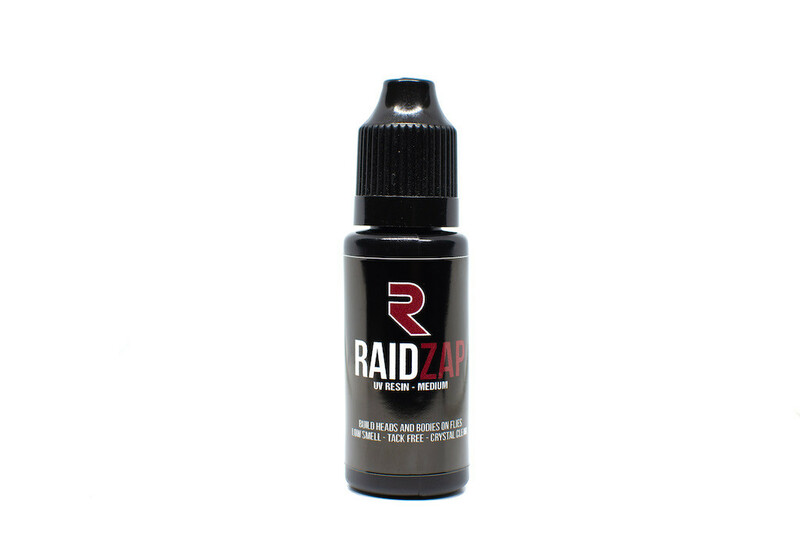 The Raidzap Medium is crystal clear. That´s why, Raidzap Medium among the Raidzap products is also our most recognized UV resin and a good allround UV resin for flytying. Apply the amount of UV resin you should use on the fly, advantage it with a flytying needle or use the thin tip. Use the FF multi lamp to cure. After the UV resin is cured, it is important that you do not begin to put your fingers in the UV resin on the fly as the UV resin is hot and works during the cooling time. You get a bad result if you begin to put your fingers down in the UV resin before it's finished working. Leave the layer you have cooled down and apply a new layer if necessary.